Popping in quickly to share my take in Sketch N Scrap challenge # 28. 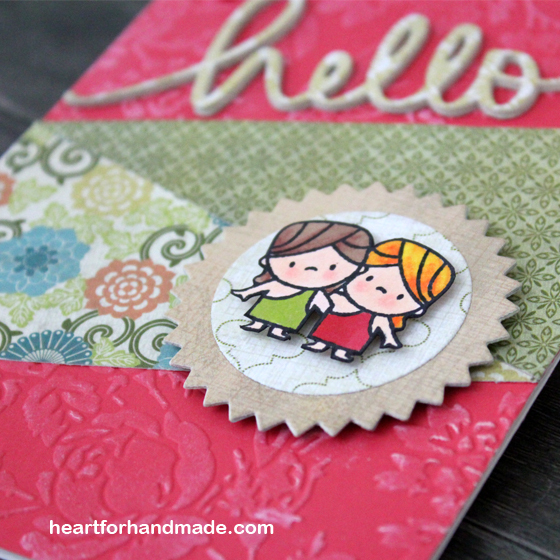 For my main image, the stamps and hello die is from Mama Elephant. 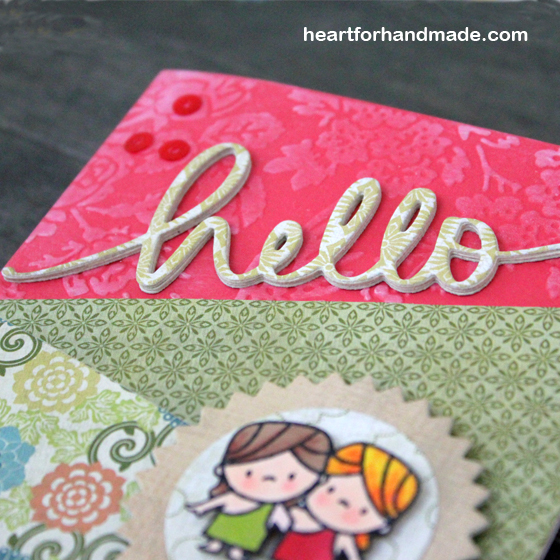 I love the Hello script die which I die cut three times for thicker look, more like a chipboard. The twin image is one of the stamps in Cosmic Stars stamp set, colored with promarkers. I fussy cut them then pop them with dimensional foam. 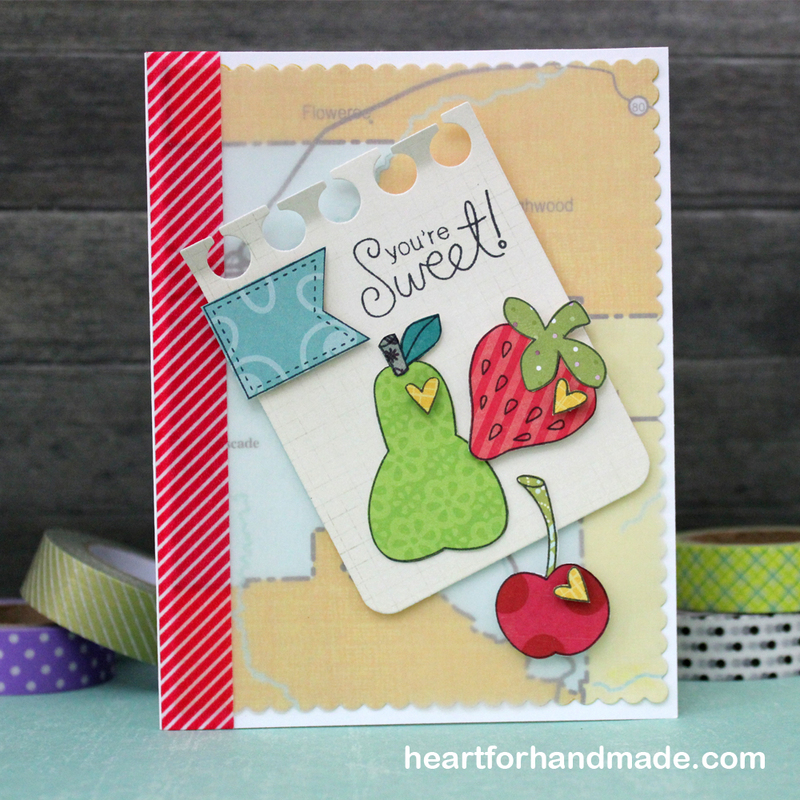 And from my card base, the embossed background is made using Ana Griffin’s Aviary embossing folder. 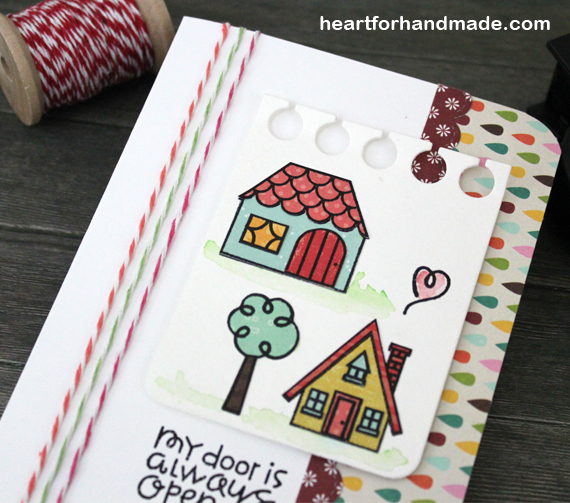 Also entering this card to Color Me Creative, Friend theme and Crafty Girls Challenge # 21, Anything Goes. 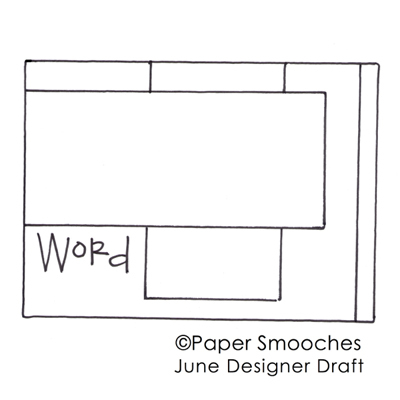 Playing this week at Paper Smooches Designer Draft challenge for the month of June. 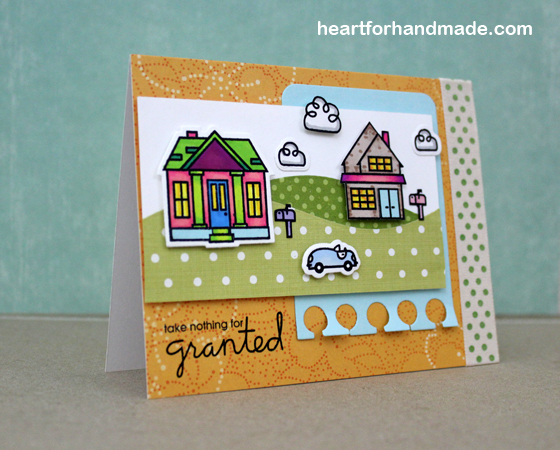 I used the two houses from the Paper Smooches Bitty Bungalow stamp set and coloring them with promarkers. 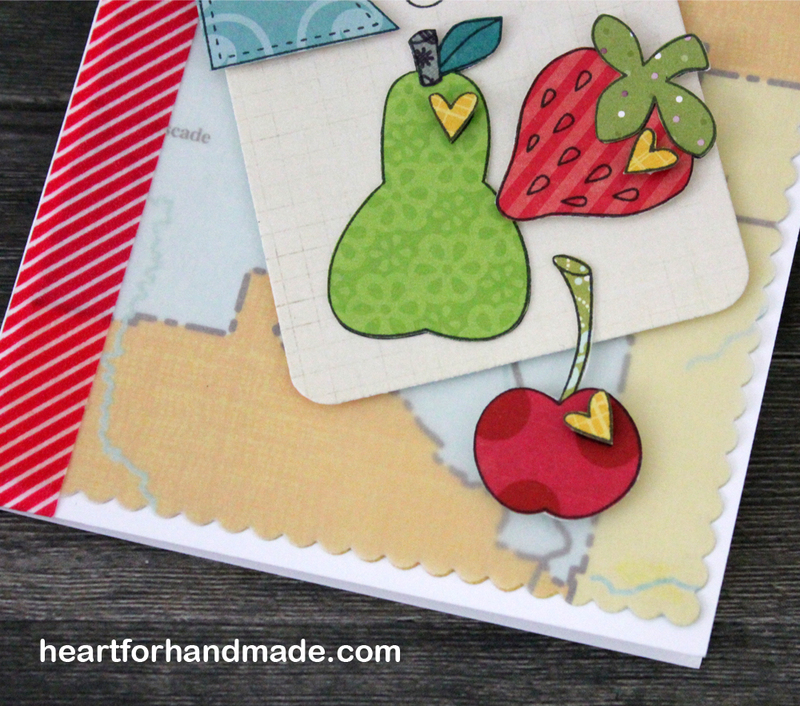 For the green hills shape, I also used Paper Smooches Borders 1 Die. Had fun doing the small scene on this card. Scribble and Scrap Challenge 21, Anything Goes. Wordart Wednesday Challenge # 138, Anything Goes. 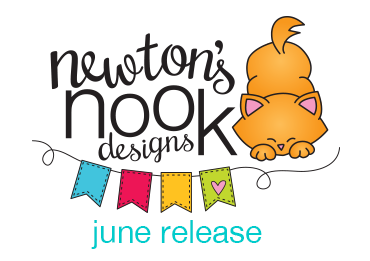 I’m excited to share this DIY Notecards using Newton’s Nook Design Sweet Stamp that’s recently been released last week at Newton’s Nook. I used minimal supplies on this project that I’m sure are available in your stash. 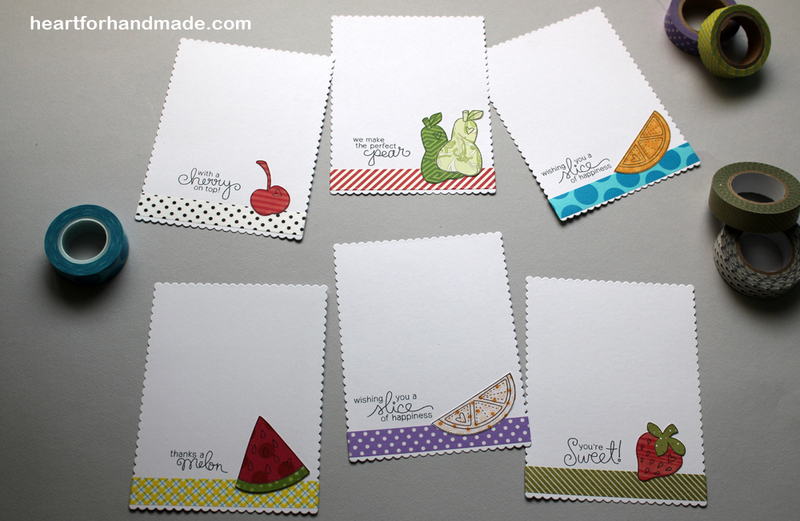 I did two sets of notecards, one using washi tapes and paper piecing, and the other set using promarkers. I have a number of small sized pattern papers in my stash and paper piecing is just a great way to use them. Here I added a strip of washi tape for additional color. Well apparently, I also have a selection of washi tapes that I also adore. I added different sentiment for each notecard for variety. 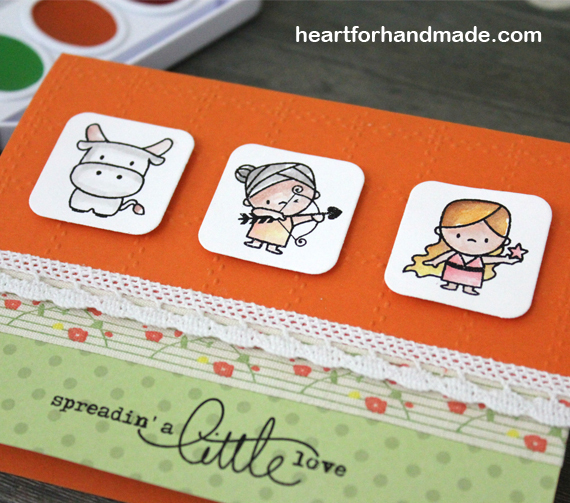 You can also use a strip of pattern paper if you don’t have washi tape. 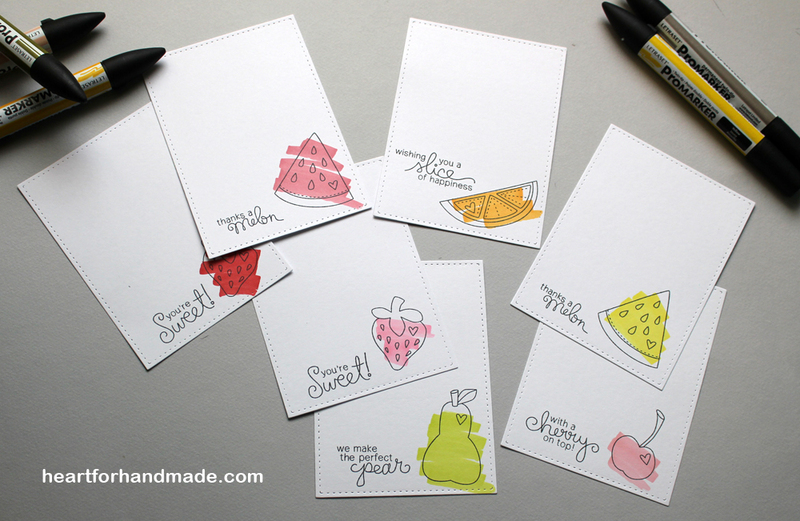 Here, I simply stamped the fruits and scribbled a touch of color in each card using promarkers, easy peasy. A colored pencil, a light dab of watercolor or copic marker is also fine. You can try other coloring medium in here. 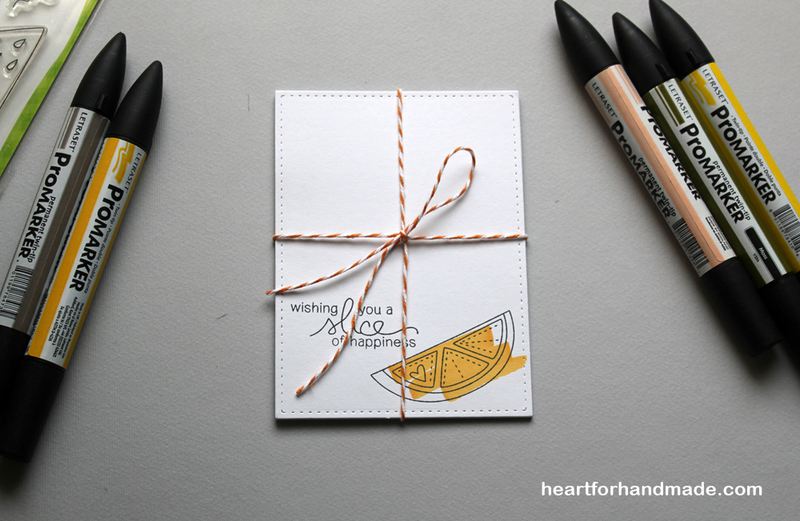 I then packed each of the notecard set with twine, great gift pack for friends and family. You can a dozen or more as you like. Here’s the other paper pieced set tied with twine. I just added a random strip of washi tape in front of the pack for some fun colors too. 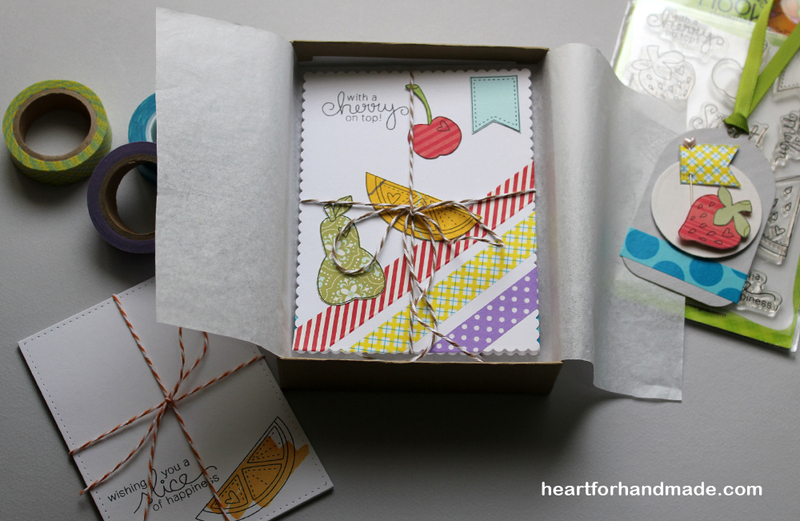 I have a box that fits perfectly the two-set notecards, just a quick gift set. I made also a tag that compliments the pack. That’s it for today, I hope you try this easy DIY gift project. Playing this time with Sarah Hurley A Few of my Favorite Things April- Happy kit. My inspiration is CAS(E) this Sketch # 81 challenge and Fusion Card Challenge. 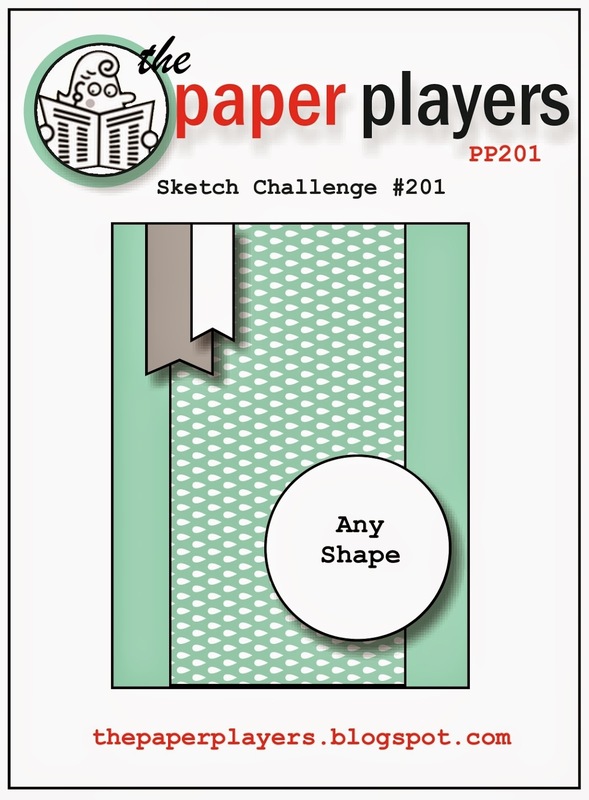 Both challenges are teaming up this week and I’m glad that I got the chance to play along with two of my favorite card sketch challenge blogs at the same time. 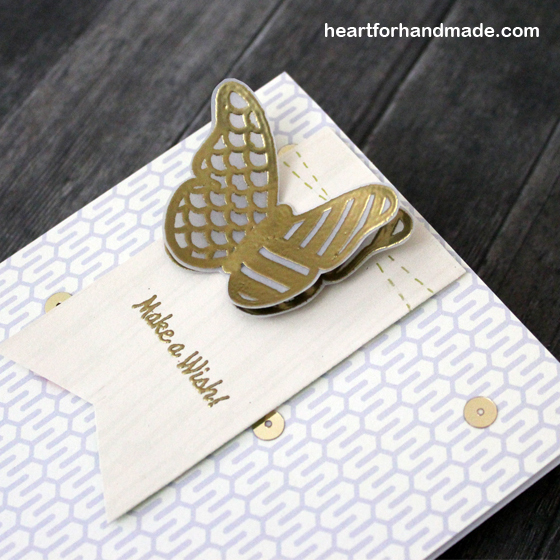 I used the main image butterfly as my focal point and gold embossed it twice in vellum. 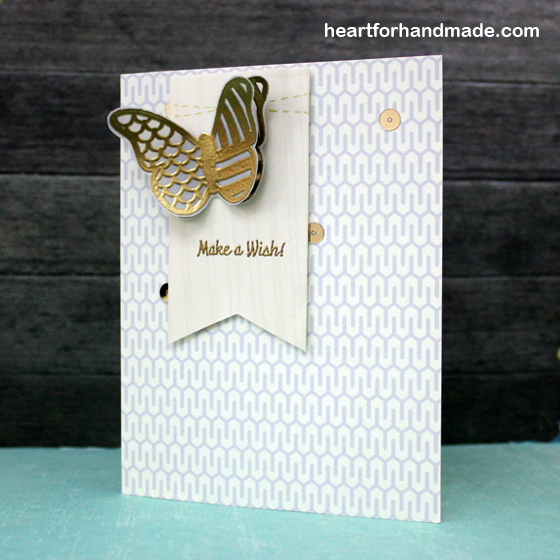 The butterfly stamp and sentiment is also from Sarah Hurley. I then fuzzy cut them and placed on top of each other for dimension. I added some flat gold sequins that I bought some weeks ago in the local store. 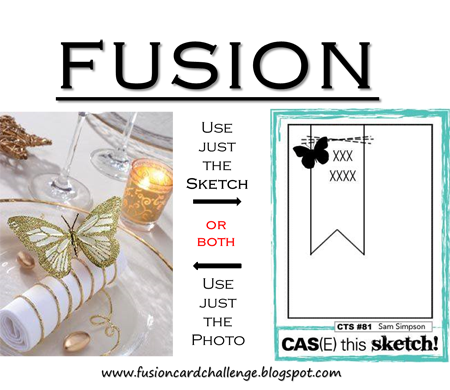 Also entering this card to CAS-ology Week 100: Celebrate. This card is birthday card though with a different sentiment can also be a wedding or engagement card. 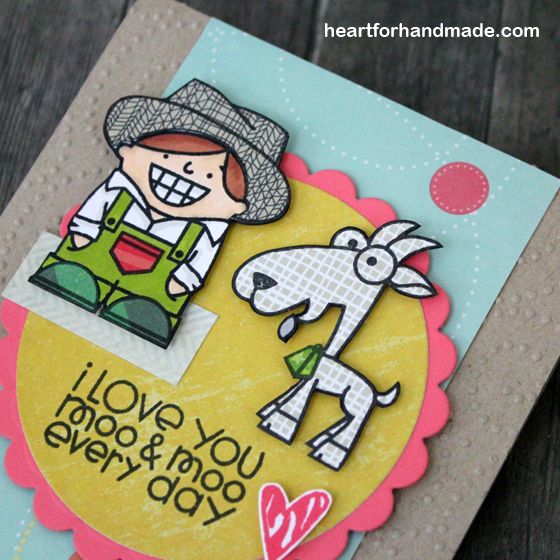 Using my new Paper Smooches stamps, I’m joining this week at Paper Smooches, Anything Goes challenge (wk 3). I initially thought the little character was a girl when I bought it but he’s the cutest little boy isn’t he? Love him in any way. I used a combination of paper piecing, promarkers coloring and stamping on my images. 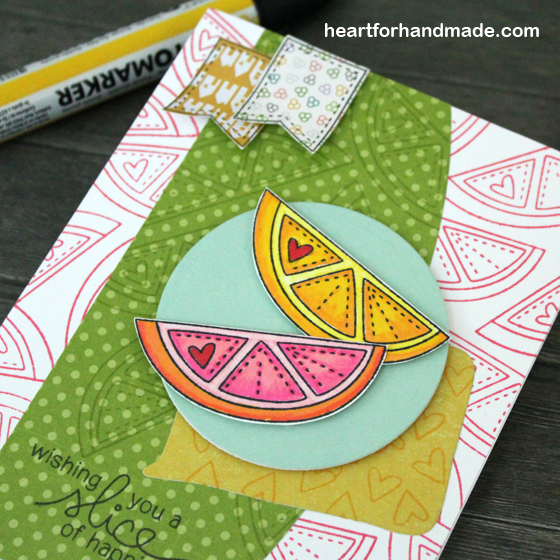 My card sketch inspiration is from Sugarpea Designs, SugarSketch challenge # 5. 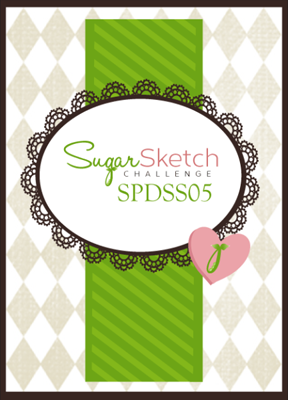 I found their blog when I was browsing online and glad to know they also do card sketch challenge. 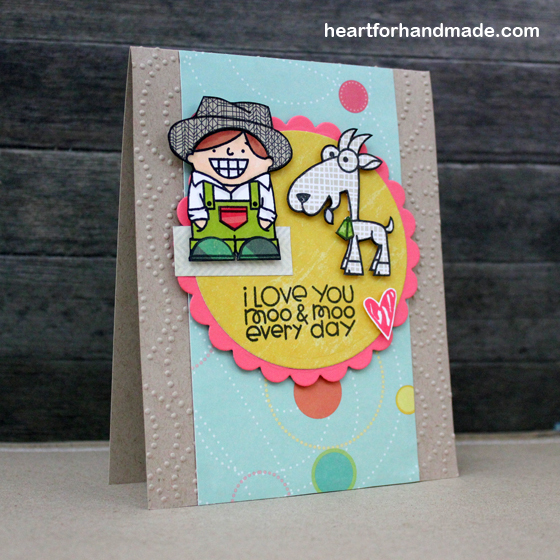 Also entering this card to Stampin for the weekend, Anything Goes challenge. Wohoo! 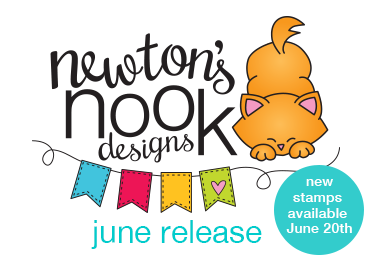 It’s Newton’s Nook Designs June Release! I’m so glad to be joining the team this month as Guest Designer and so excited to share what I have come up with the first set of stamp for the month called Chicken Scratches. 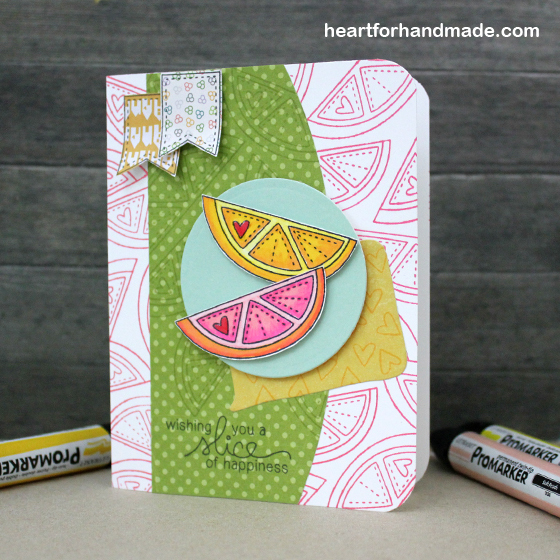 Part of the set is the hexagon pattern which I used in my card base. I had so much fun doing this little scene. Would you like to win “Chicken Scratches”? 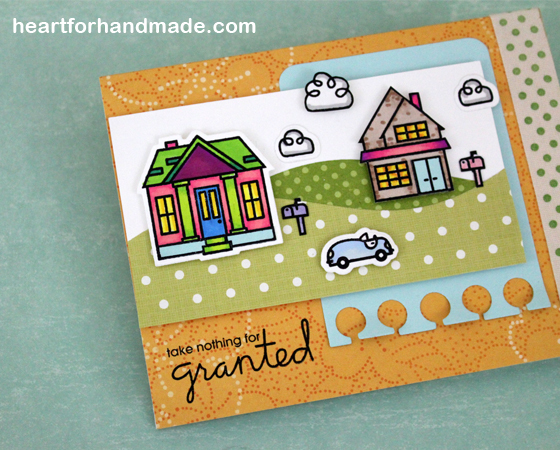 I recently got this Bitty Bungalow stamp set from Paper Smooches. 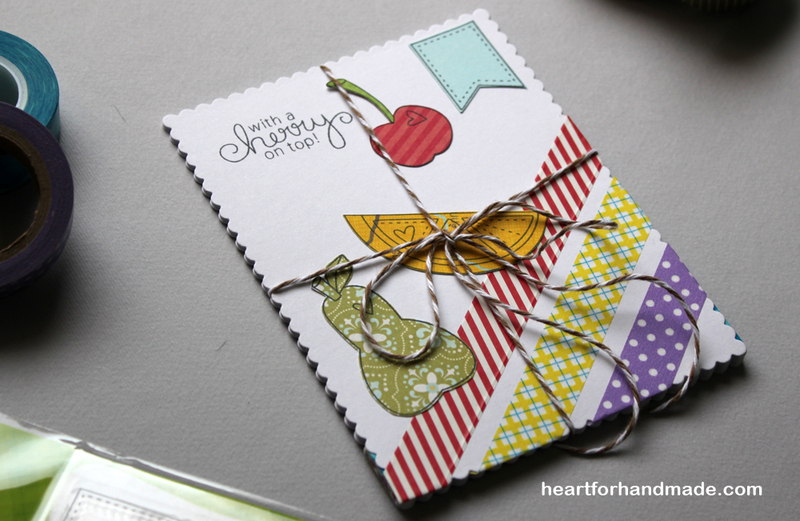 I’m entering this card in the current Picture Perfect challenge, June 8-14. I used the colors in the photo as my inspiration, fun, happy colors. I initially colored the bungalows with watercolor but later decided to paper pieced them instead. I have a pack of small piece papers that were left from previous projects which I keep. It may only be me but I just can’t just toss all those pretty papers in the bin as they can still be use in small projects like this (well not all those pieces but a good size ones that I think will still work). I used the Notebook basic die to frame my bungalows. 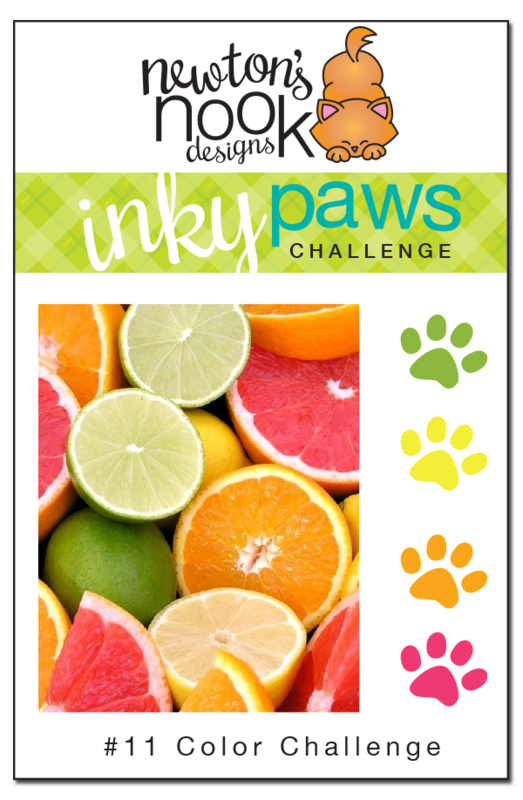 For my card layout, I used Fusion Card Challenge sketch, and they also have those bright, happy colors as inspiration. I also have twine to match the strips in the sketch. I’m also entering this card to Through The Craft Room Door, Anything Goes challenge. I love this Mama Elephant stamps set called Cosmic Stars. The images actually represents zodiac sign but can be used also in a lot of different things like this. I stamped three images and colored them with watercolors. The sentiment is also from Mama Elephant’s Everyday Greetings. I added a pattern paper and embossed the card base for texture. For the card sketch, I used Retrosketches #118 sketch.